Multi Leveled Conveyor for resting and cooling the baked pastry. The Conveyor system is built on top of each other granting the pastry the exact cooling time while leading it to the desired packing or picking place. The Conveyor is equiped with a strong and reliable belt, installed on a massive Stainless Steel structure. 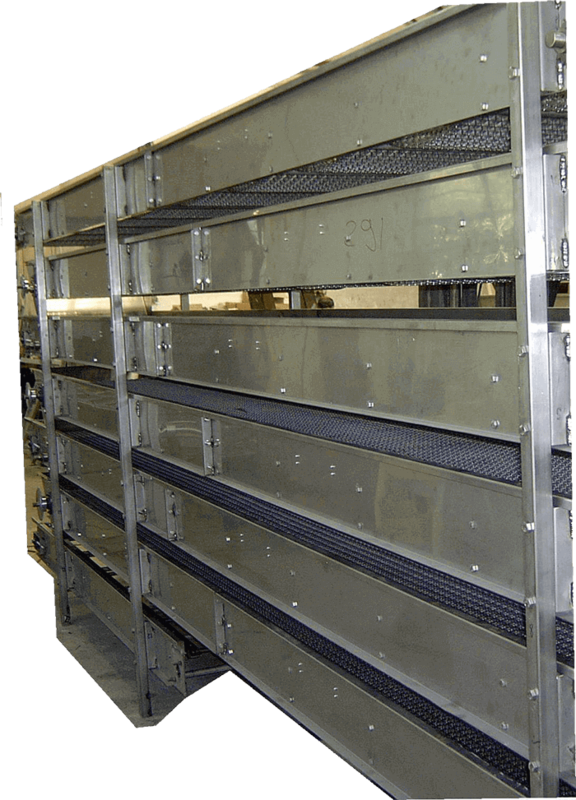 The Conveyor is entirely a custom built product. It is manufactured in consideration and according to the actual available space and cooling time needed.